Managing Director Dr. Michael Emonts was invited to the African Advanced Manufacturing & Composites Show at Nelson Mandela Bay Stadium in South Africa as an international Keynote speaker. Dr. Michael Emonts’s keynote speech “Lightweight Production: a unique approach for the close collaboration between research and the international lightweight industry” represented the AZL and brought our vision from Europe to South Africa. AZL’s Senior Advisor Dr. Michael Effing was also invited to hold a keynote speech. 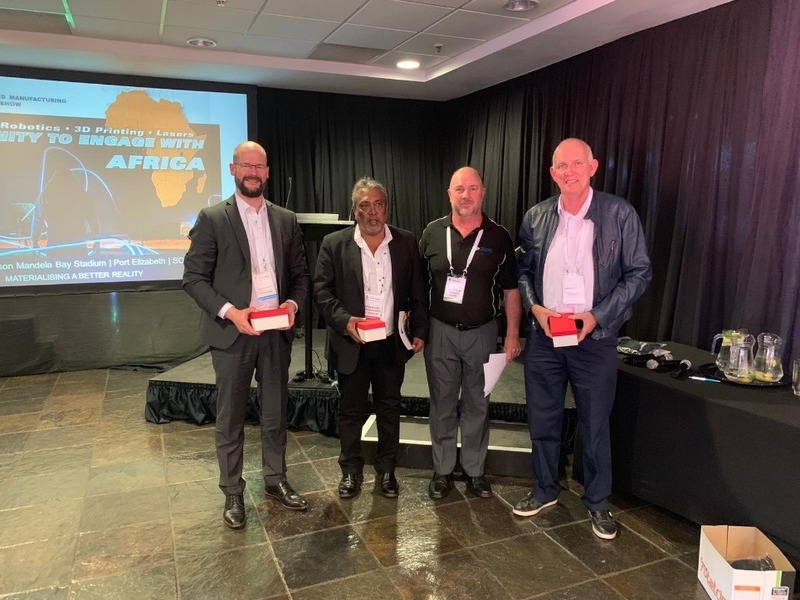 Together they took the opportunity to learn about the composite industry in south Africa and exchange ideas and knowledge with participating companies. African Advanced Manufacturing and Composites Show (AAMCS) is Africa’s most comprehensive and dynamic trading and networking platform for technology, products and services in Advanced Manufacturing. It brings together role-players in a highly fragmented sector, over vast geographic distances to foster engagement, collaboration and learning towards materializing the theme: materializing a better reality.